With a compact footprint and an elegant style, the Ava Table Lamp is ideal for a variety of interior settings. 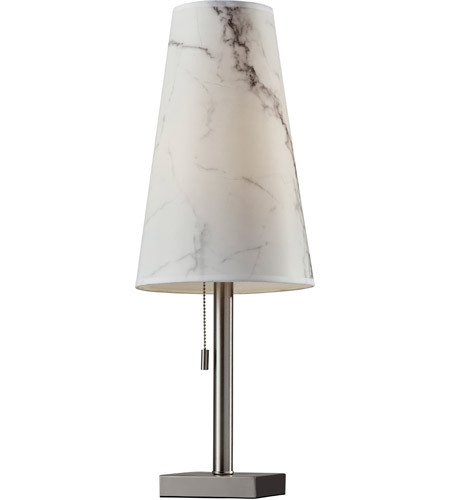 A surprising use of the marbled look, this tall, skinny, cone shaped paper shade is just as beautiful with the light off as it is with the light on. A sleek, brushed steel finish pairs perfectly. Turn the lamp on and off with the ease of a pull chain switch.